There are about as many types as rice as there are possible uses. Arborio rice, for example, is mainly grown in the Po Valley in Italy and used for Italian risottos, while the most aromatic Basmati rice from the Himalaya region is used for many oriental dishes. Rice is one of the most important grain types worldwide and main foodstuff for more than half of the world’s population. In the humid, tropical and subtropical climate zones in Asia, where rice originally comes from, 80% of all meals are rice. Today, rice is still mainly grown in Asia but also in the USA and northern Italy, for example. A rice plant consists of up to 30 stalks, approx. 1 m high, each bearing a panicle with up to 100 ears – that means up to 3000 grains of rice per plant. 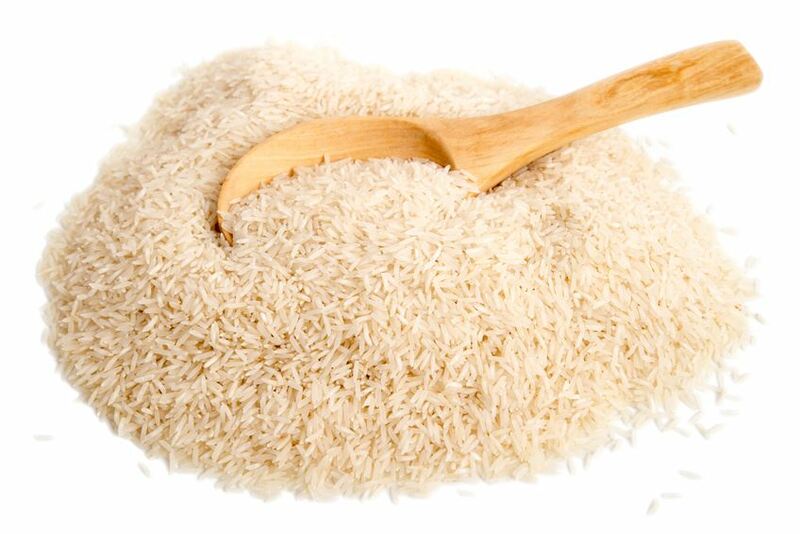 Rice contains large amounts of vitamin B1, B2, B6, E and niacin, many mineral nutrients such as magnesium and manganese. And rice is naturally gluten-free, so that people suffering from celiac disease can use it without worries. Rice is a popular side dish for a wide variety of dishes worldwide, but is also used for many main dishes e.g. Spanish paella, oriental pilaf, Chinese Nasi Goreng or Italian risotto.